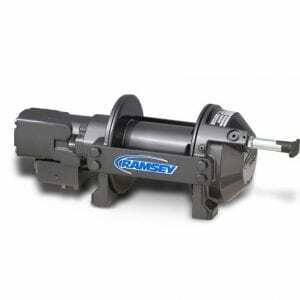 Ramsey Winch manufactures Hydraulic and Electric Planetary Winches that meet EN14492-1 standards. Ramsey Winch EU model Planetary Winches range in size from 34.9 to 177.9 kN to meet the full range of towing and recovery, utility, petroleum, construction, mining and other industrial applications. 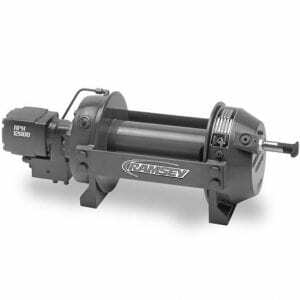 In short, Ramsey offers the EN-compliant industrial hydraulic or electric winch perfect for your needs. Fast line speeds limit time in the danger zone as well as increase efficiency and productivity on the job. Cables can be under-wound to minimize strain on the winch, or overwound reducing risk of damage to the load. Many models can be either foot or mid mounted for adaptability and ease of maintenance. All Ramsey Winch EN compliant planetary winches feature a spring-applied, hydraulically released multi-disc brake. Ramsey Winch Hydraulic Planetary Winches are tested and certified to operate in temperatures from -40° C to 49° C. Our winches offer easy, fast free spooling that can be operated by air or manually, providing fast line payout and reducing wear on components. 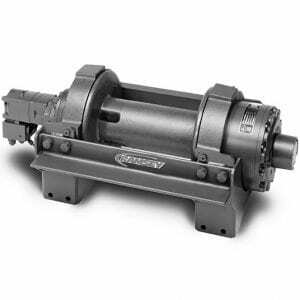 Ramsey Winch Hydraulic and Electric Planetary Winches are manufactured in the US to meet EN14492-1 standards. 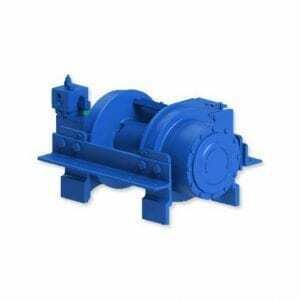 Our EN Compliant winches are equipped so that the cable is fixed to the drum via a puck system, meeting requirements that the cable should not fail before the overload interrupt is engaged. 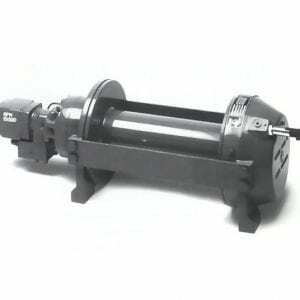 • The drum diameter to cable diameter ratio is 9:1. 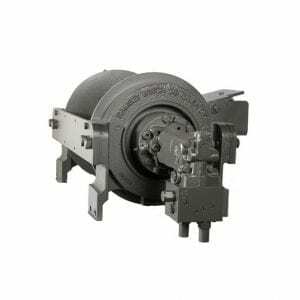 The larger drum diameter reduces cable stress and increases cable life.